Audi is recalling fourth-generation A4s built after 2012. BERLIN (Reuters) -- Audi will recall 850,000 A4s worldwide due to airbag problems, with about half of the vehicles affected in the luxury carmaker's two biggest markets of China and Germany. 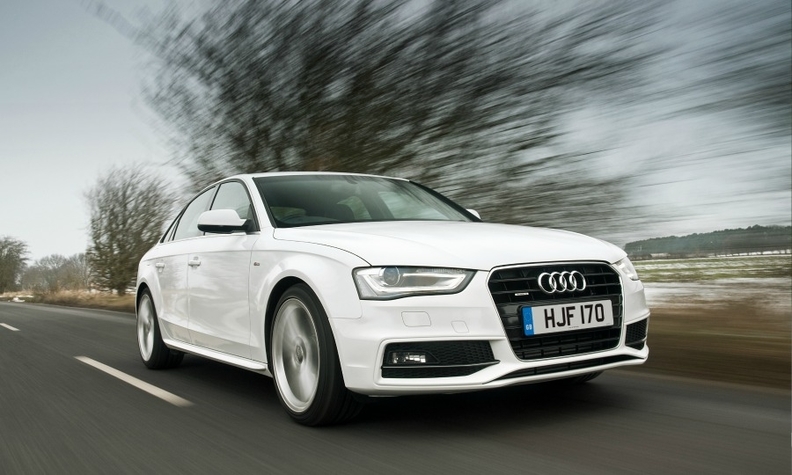 Faulty software in A4 models delivered after 2012 could prevent front airbags from deploying, an Audi spokesman said. Audi said its faulty airbags are not made by Japan's Takata Corp., which is at the center of a growing number of airbag recalls. Audi is recalling about 250,000 A4s in China, its biggest market, 150,000 in Germany, and nearly 102,000 in the U.S. The airbag problem is caused by a software fault, affecting A4 sedans, station wagons and allroad models. Audi said that quality assurance tests of A4s rolling off Audi assembly lines found a glitch in the software code that, in rare cases, may prevent airbags from deploying properly in a crash. Audi will “immediately” notify customers to take their vehicles to dealers who can update the software in about 20 minutes. Audi last week adjusted production of A4 models at its German plants in Ingolstadt and Neckarsulm, adding new software.